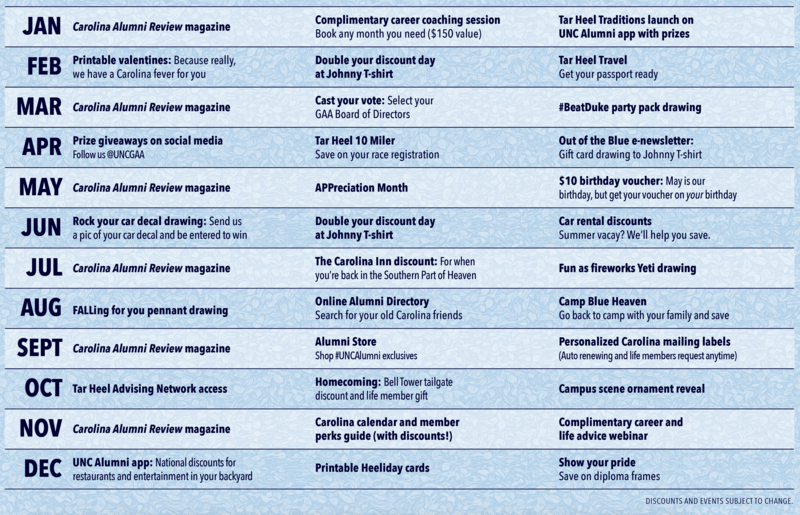 Plus, you’ll feel good when you help your Tar Heel live it up Carolina style with perks, events and swag. From Hill to Heel, we’re all connected to this place forever. Give the gift of GAA membership today.